Getting rid of standing water is the first step to control mosquitoes. Standing water is a breeding ground for mosquitoes, and a big, fat invitation for mosquitoes to start a family. It's easy to miss standing water sometimes, so regularly walk your property to check for it. Look in rain spouts, check for leaks near your air conditioning unit, and pick up toys left scattered throughout the yard. Keep your landscaping maintained to avoid overgrowth that is perfect for pests and their nests. Trim bushes and trees that are near the house, rake up debris, and yes - you're also going to have to weed. Don't let fruits and veggies get overly ripe on your counter. If you do, the fruit flies will invite themselves in for a spell and eliminating fruit flies is a headache you don't want. Don't give termites free access to your home. If you store firewood, keep it away from your house or shed. As far away as possible, actually. Five feet should be the minimum distance, but if you can store it even farther away, you'll be in better shape. Also, store it in racks above the ground. 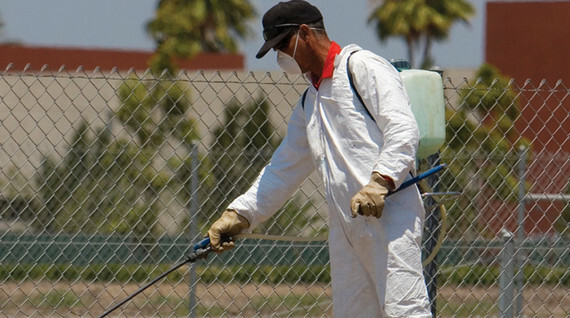 Hire a local pest control service to come to your home and regularly spray for bugs and rodents common to your area. "As pest control experts, we can take inventory of your issues and create a personalized plan to keep pests away", says Jason Revill with Spott Pest Prevention in Austin, TX. "A professional pest control company can provide more protection than you can on your own, and the peace of mind you'll receive knowing you have an expert protecting your home is immeasurable", says Revill.